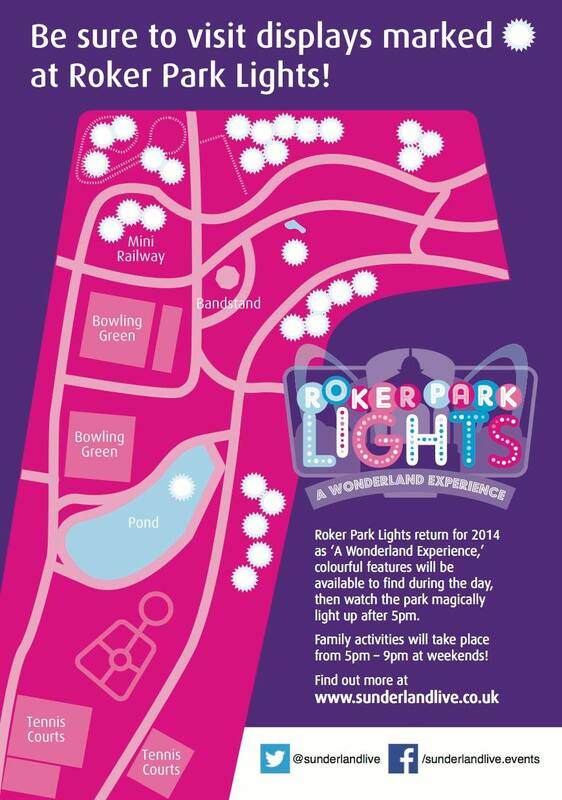 Roker Park in Sunderland will soon become magical and illuminated thanks to seven weeks of night time light installations. From 28th September – 10th November the park will be lit up every night (5:30pm – 9:30pm) with displays from dinosaurs to Alice in Wonderland. The family friendly event has been funded by Sunderland Council to encourage visitors to come and visit the park – to explore and discover. It’ll hopefully also brighten up the area as the nights get darker and colder. The Roker Park illuminations were something I LOVED when I was little but they’ve disappeared for years – I think the tap was my favourite. Anybody remember that? Weekends will be a bit more special with extra activities, including storytelling, small children’s rides, arts and crafts and more importantly for me – stalls selling drinks and snacks! Hooray! There’s also news of a Hallowe’en weekend at Roker Park on the 27th and 28th October where there will be ghoulish fun and frolics on both days from 1pm – 9:30pm. Best of all – it’s absolutely FREE. The opening event is held in the park on Friday 28th September at 7pm at Holey Rock Corner, Marine Walk (the new bit by the sea!). Expected to be in attendance are local VIPs (I’m assuming they mean me, of course!). 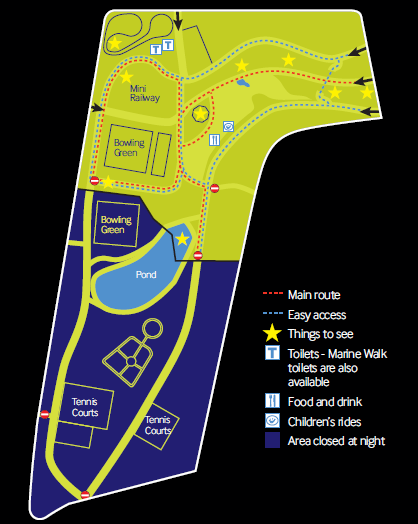 Have a look at the map below and be sure to note that the dark blue area and its gates will be closed at night.